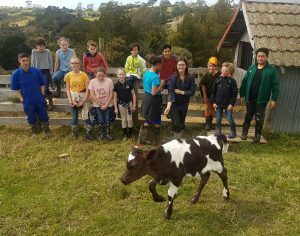 Year 7 on the farm! 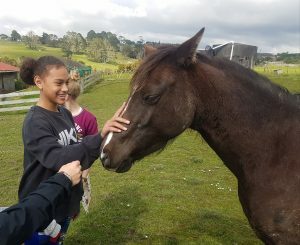 On this lovely Spring day, the Year 7 class went to Teacher Luke’s farm in Okura. 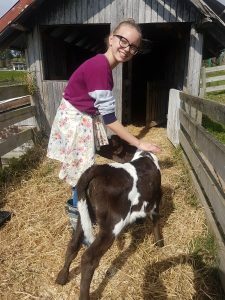 They have been learning all about animal classification in Science so what better way to learn the characteristics of mammals than see some close up? 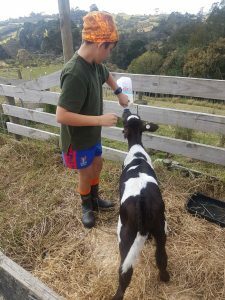 Each student got to bottle feed a two-week old calf and there were even ponies to pat and sheep to chase! Such a lovely morning out and about, thank you to our wonderful parent helpers and to Teacher Luke’s family!